The Uncurated Life: March is Clinique Bonus Time! March is Clinique Bonus Time! For every Php4,500 worth of purchase, you get all these great travel size best-sellers. This will certainly come in handy when you go and vacay! Clinique Bonus Time contains the follwing fabulous prodcuts! This is the ultimate skin care treat for travelling and you get it for free for purchase Php4,500 and up at all Clinique counters! How awesome is that? And it comes in a cute pouch even. How did I missed your blog? Super tagal na pala nito, I just found it! Thanks for the helpful tips and info such as this. Pett here all the way from Butuan City! can I get some gifts right now? 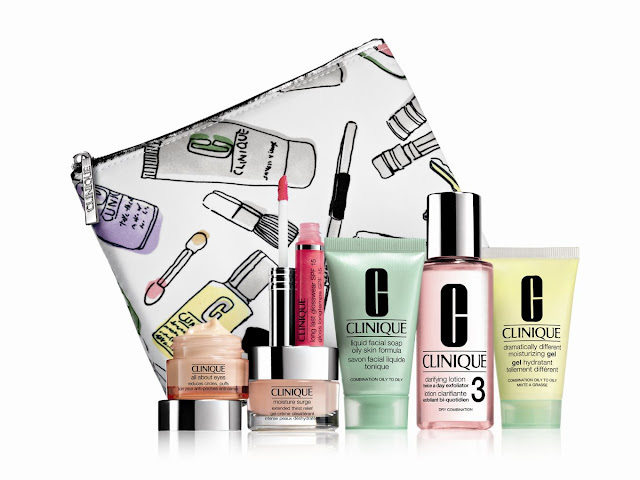 sure, Clinique bonus time is all year round period so just find a good deal in your favourite shop or store and enjoy it.